Nintendo has said that 2013 is “Luigi’s year”, meaning that Mario’s green-clad brother is finally seeing the spotlight after so long in his sibling’s shadow. 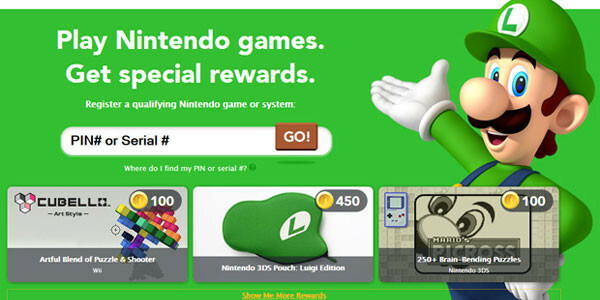 As part of the celebration of Luigi’s triumph, North America’s Club Nintendo is having a very limited time Luigi sale on a number of the reward items. This themed sale has turned the Club Nintendo page green and discounted items like Wii Remote holders, Game Card cases, and—somewhat ironically—a Super Mario shirt. The discount isn’t huge, but considering those gold coins aren’t easy to pile up, if you’ve been hoping to grab one of these items, now’s your chance! The sale is only on until 11:59 PST today (March 19th), so be sure to head over right away to Club Nintendo and take advantage of it while you can.